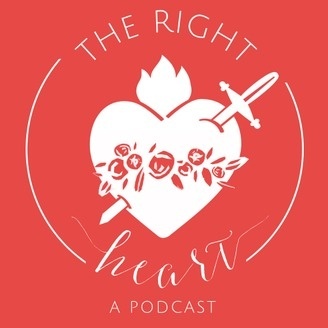 Lisa Schmidt of The Practicing Catholic is back for Episode 27 of The Right Heart, and my interview with her has become one of my favorite episodes of podcast. 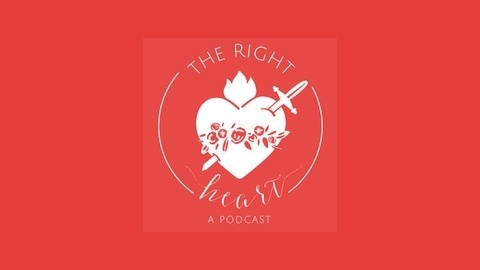 (Lisa’s first time on the podcast was in Episode 17: Restoring Your Fertility to God as a Couple). In this interview, Lisa and I have an inspiring, enlightening, and at times brutally honest conversation about our own struggles with what “resting” on Sunday has looked liked over the years. As I confess early on, “Sundays too often feel like another Saturday, but we just have to find a mass time that works with our schedule.” What resting should and could look like for our busy lives is a topic that I think a lot of us gloss over because there are few hard and fast rules–or easy answers. I love that Lisa and I quickly get past acknowledging how hard figuring out “rest” can be, though, and we get to work with chatting about what we’ve each been learning is God’s plan for a weekly day of rest and renewal of our joy in Him. Lisa is a stay-at-home Catholic wife and mother of four. She and her husband, Deacon Joel Schmidt, run The Practicing Catholic blog. Lisa and Deacon Joel also host their own podcast, and Lisa is no stranger to radio. She writes regularly for Catholic Stand and CatholicMom.com. Lisa is down to earth, kind, and genuine. If you haven’t heard her speak before, or haven’t checked out her blog yet, I think you’ll quickly come to like her as much as I do. The post Back to the Heart of Sunday Rest, with Lisa Schmidt appeared first on Humble Handmaid.